Club Penguin Cheats by Mimo777 Club Penguin Cheats by Mimo777: April Catalog Sneak Peek! 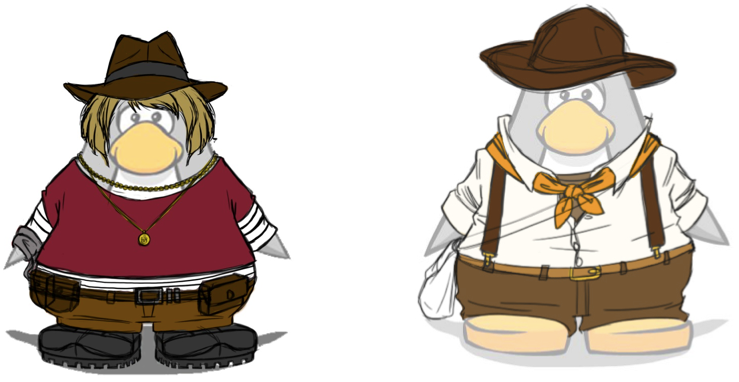 Club Penguin is super excited about April's Clothing Catalog! So here's a sneak peek they shared! These new outfits will be coming to the Clothes Shop April 3. Number 2. I just like it more. It looks more adventurous.